I always get excited when I stumble across a plant I do not know and especially when it is a genus that is new to me. So I was at first puzzled when I was confronted with a large shrub last week that was totally unfamiliar. Of course, being in Ireland where the climate is milder than in the UK, I am constantly finding gardening surprises but this one had me totally stumped. Luckily I was making my first visit to the Talbot Botanic Garden at Malahide Castle north of Dublin (of which more tomorrow) and, looking around at the base of the plant, I found a label. The name did not mean much to me but it was Debregeasia longifolia. 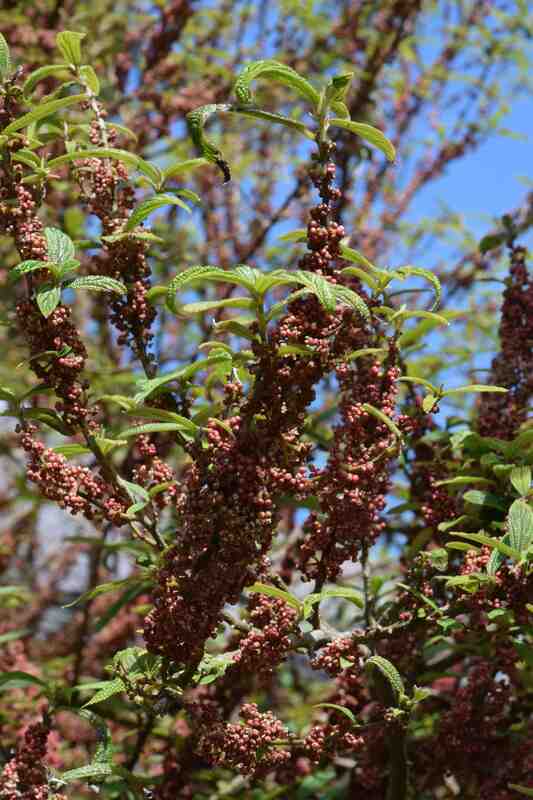 This is an evergreen tree from southern China and India that is in the nettle family. The flowers are very small and reminded me of wall pellitory – Parietaria officinalis – which actually makes sense because that too is in the nettle family (Urticaceae). Both have tiny, cruciform flowers in dull red. 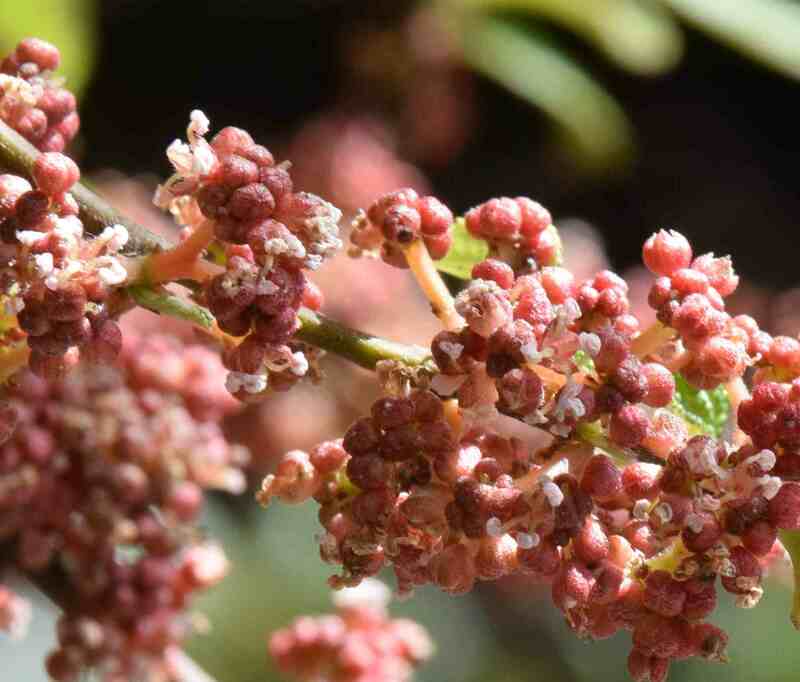 Plants of debregeasia are either male or female and this plant is male as can just about be seen from the flowers below which are showing their anthers with white pollen. It is a shrub that can reach 5m high and across and the plant here was about that size. The leaves are held in pairs and are deeply veined and do look a little nettle like. Apparently the fruits are small and orange and tasty but obviously with just a male flowers this plant will not have any fruit. However the plant has many uses in the wild and fibre is extracted from its bark (another similarity with nettles which can be used as a source of fibre), the wood is used for charcoal and the juice from the leaves is used to control scabies. 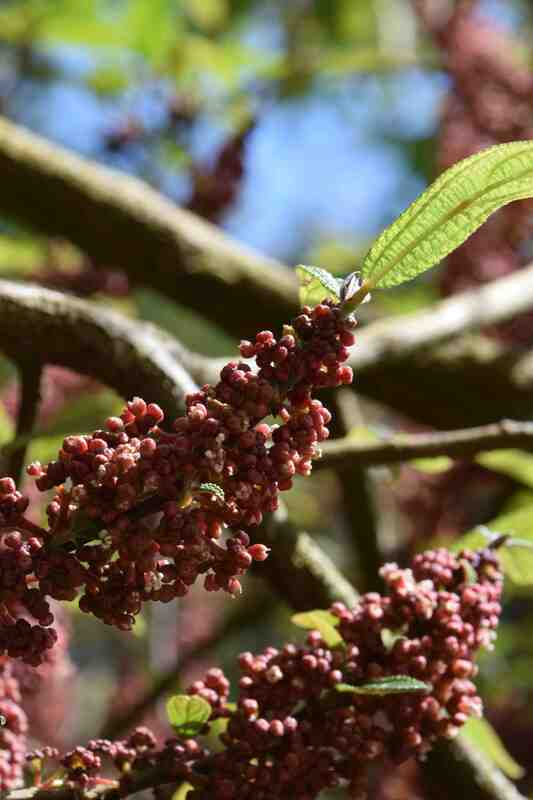 It is not likely that this shrub will be hardy in most of the UK and it does not really have enough appeal to make it something that everyone will want to plant but the fruits are generally described as small but tasty and if sexed plants were available it may be a useful, unusual fruit for a sunny wall. Although the flowers are tiny they are so prolific that they actually make a decent display and perhaps it is unjustly neglected. Perhaps it is one to watch.